We started off the day with a haircut at a new location. 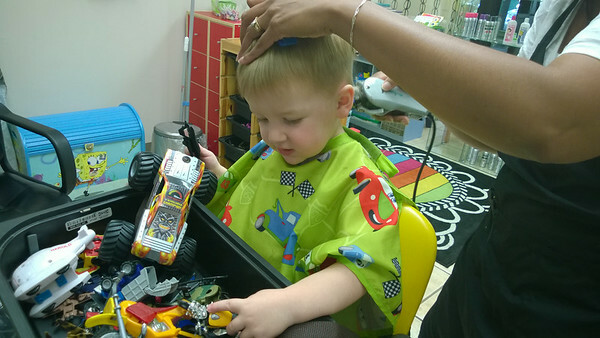 We wanted to get Cooper’s haircut super short in preparation for our upcoming summer vacations. She had the coolest set-up with a bin of toys strapped right to the chair and kept Cooper’s attention the entire time. After the haircut we met our friends the Du family at the Crossroads water park. This is the coolest water park. 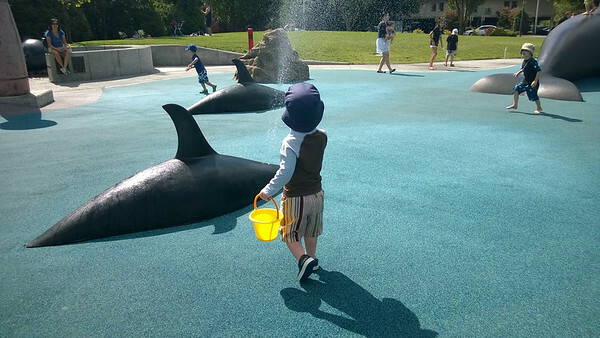 The ground is rubbery and there is a variety of water features to run through and play with. 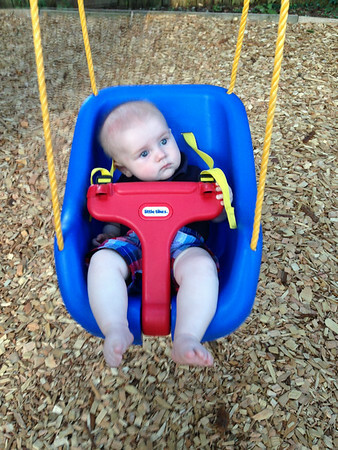 With Daddy in charge, Nicholas got his first swing experience. It is exciting to see that it didn’t result in tears and he kind of liked it.